Animal Wildlife | Glass Lizard | The glass lizard (also known as the glass snake and the jointed snake) are a group of reptiles that resemble snakes, but are actually lizards. Although most species of glass lizard have no legs, their head shape and the fact that they have movable eyelids and external ear openings identify them as lizards. Glass lizards are found all around the world although, the greatest number of species in the genus are native to Asia, from India to China and the Indonesian islands. At least one species, the Moroccan glass lizard, comes from North Africa, and several species live in the south-eastern United States including the barrier islands off the Atlantic coast of Florida. The glass lizard is also found in abundance in Eastern North Carolina as far as 40 miles from Atlantic Ocean. 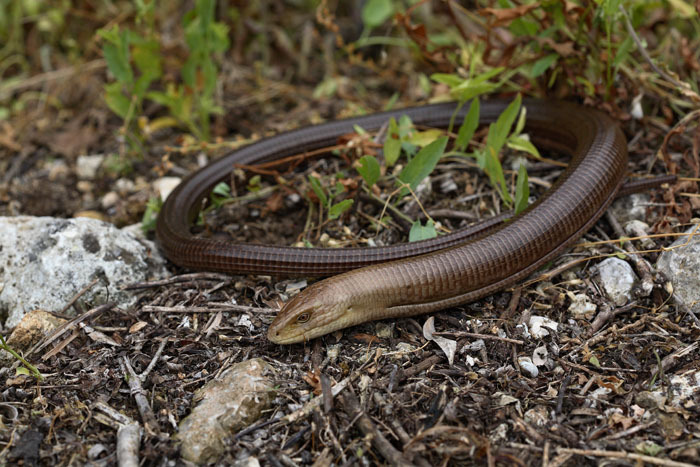 Despite being known as leg-less lizards, there are a few species of glass lizard that have very small stub-like legs near the rear vent (these animals are also known as glass snakes). 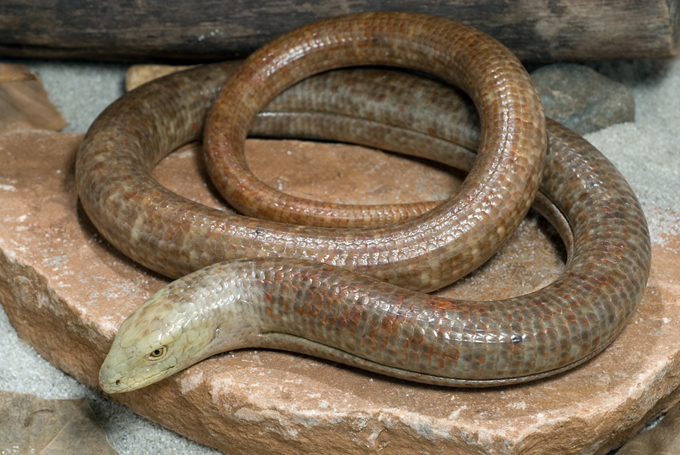 The glass lizard is able to reach lengths of up to 4 feet (1.2 m), but approximately two-thirds of this is the tail. Their common name of glass lizard comes from the fact that they are easily broken: like many lizards, they have the ability to deter predation by dropping off part of the tail which can break into several pieces, like glass. The tail remains mobile, while the lizard becomes motionless, distracting the predator, and allowing eventual escape. This serious loss of body mass requires a considerable effort to replace, and the new tail is usually smaller in size than the original. 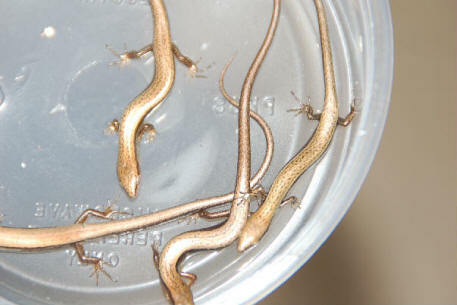 Glass lizards are carnivorous predators that feed mainly on insects. 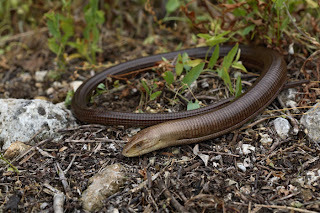 Like numerous other lizard species, the glass lizard is a primarily nocturnal hunter as it spends the hot daytime recharging in the sun, giving the glass lizard the energy it needs to hunt under the cover of night. 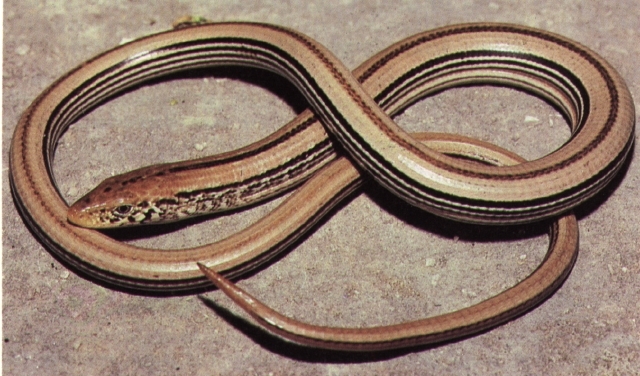 Glass lizards also prey upon small mammals such as rodents, frogs, birds and eggs. The glass lizard as a wide variety of predators throughout it's habitats around the world including mammals, snakes and birds of prey. The ability of the glass lizard to detach it's tail in a time of panic, gives the glass lizard more time to get away. Glass lizards tend to breed in early summer, when female glass lizards lay several eggs under a log or in dense forest foliage. The female glass lizard apparently attends the eggs until they hatch, a rare occurrence in lizards as most simply bury their eggs and leave. Some glass lizard species are also able to give birth to live young but most do lay eggs. 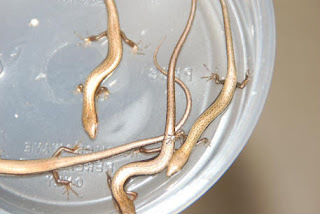 Today, the glass lizard is not a species that is considered to be at risk from becoming extinct in the near future, although studies are being done into the current state of the glass lizard populations around the world to determine their current ecological status. 0 Response to "Glass Lizard"